Paseo Oaks Pharmacy offers personalized care to the residents of Westlake Village, Calif., and the surrounding region. We are committed to putting our patients first in order to help them achieve optimal health and well-being. We offer high-quality care at a competitive price and work with your health care provider to help you reach your goals. Welcome to Paseo Oaks Pharmacy Thousand Oaks pharmacy. Our pharmacy staff has the skills and the experience upon which you can rely to fulfill your health care needs. We work closely with you and your health care provider so that we can better understand your health care needs and fulfill them. Our staff at this pharmacy in Thousand Oaks includes certified pharmacists, technicians and assistants who are committed to continuing education that allows them to remain on the leading edge of the field and to provide their patients with the most advanced treatment options that are available. We are a locally owned and operated pharmacy and offer fast, friendly, efficient service. We also offer free shipping and delivery. Give us a call today to learn more about how Paseo Oaks pharmacy in Thousand Oaks can meet your health care needs. We believe that it is critical to your health and well-being that we remain current on the latest medical research and medicinal advances, and we work in an ultra-modern laboratory that allows us to provide you with the exact formulas that you need. We have a computerized system that allows us to detect potentially dangerous interactions or side effects, which helps you stay healthy. 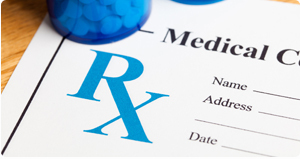 Our Thousand Oaks pharmacy specializes in compounding medication and homeopathic medication. We also offer veterinary compounding services for the furry, feathered or scaled members of your family.